Do you ever get bored with your stash? I do! I look at it and sew on it almost everyday so, it’s only natural to want something different from time to time. Since I’m terrible at letting go, I like to make sure it has a great home to go to. To help clear out, I like wrap up a few pieces together and create mini bundles. 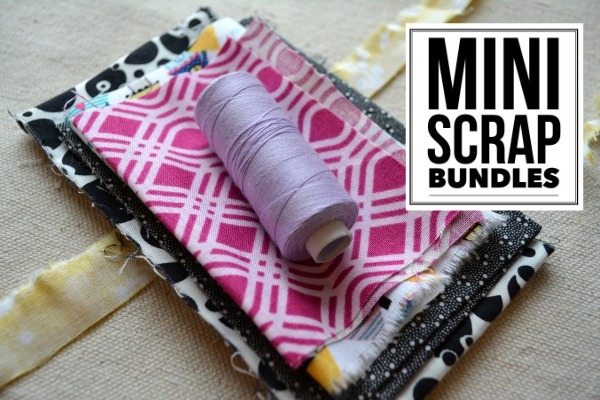 These little minis are perfect for tucking inside a swap, gifting to a new friend at your next sewing retreat or donating to a local sewing group. Gather a few fabrics that look nice together, press, fold and stack together. 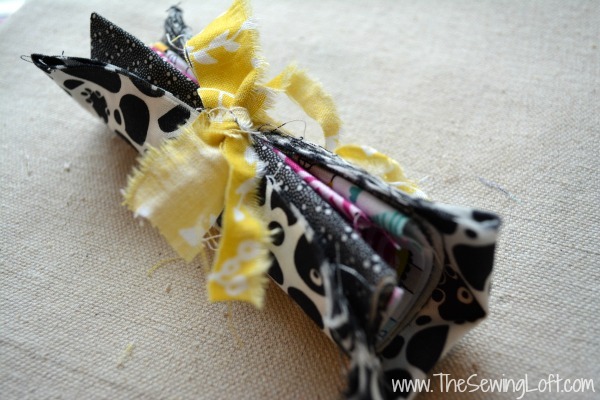 Tuck a thread spool or button card on top and wrap with a strip of fabric. That’s it! 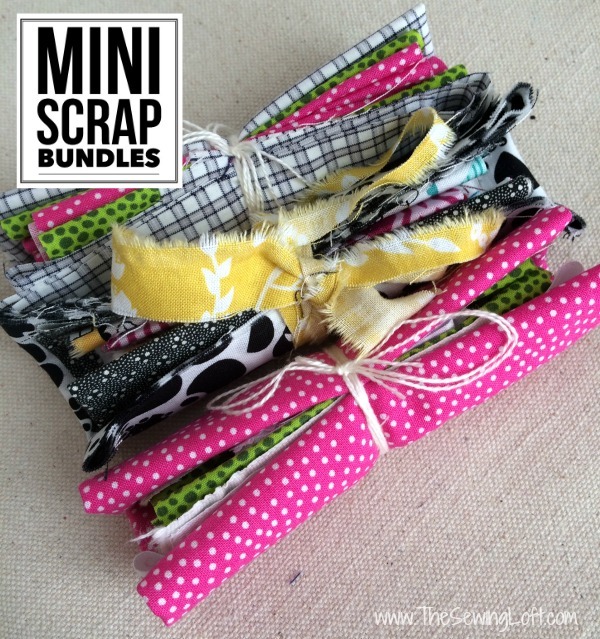 These mini scrap bundles are that simple. Where ever you send your mini bundle, I’m sure it will bring a smile to someone’s face. Remember, one gals stash is another’s treasure! Share the love…. Great idea. I have some fabrics that need to just leave my house.